Marriott Manila is securing its position to be the premiere meeting destination in the country, as it officially opens the Marriott Grand Ballroom – Philippines’ largest ballroom, a first of its kind facility that will redefine Philippine MICE Industry (Meetings, Incentives, Conventions and Exhibitions). This new architectural marvel offers a total of 8,000 square meters of function space with 28 versatile meeting space including 6 VIP sky boxes. 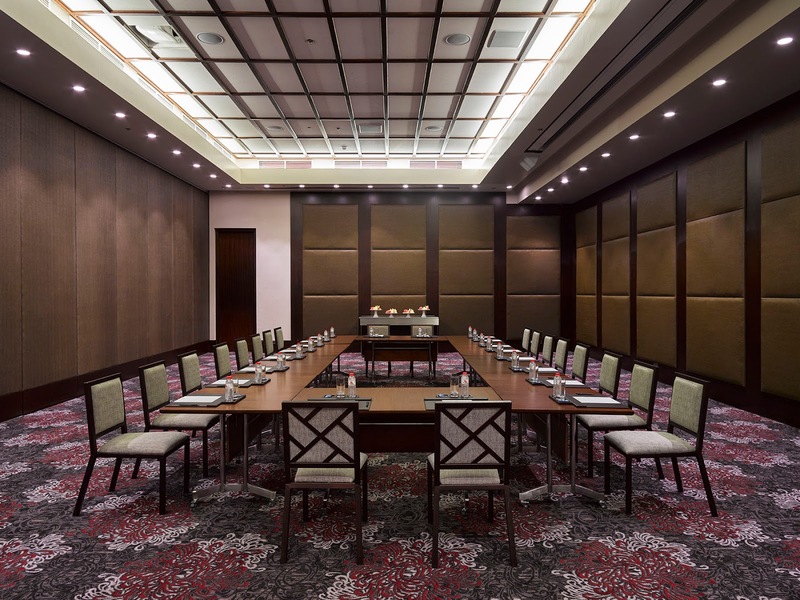 A blank canvas perfect for small or large meetings, all types of celebrations and grand events from product launches to concerts. 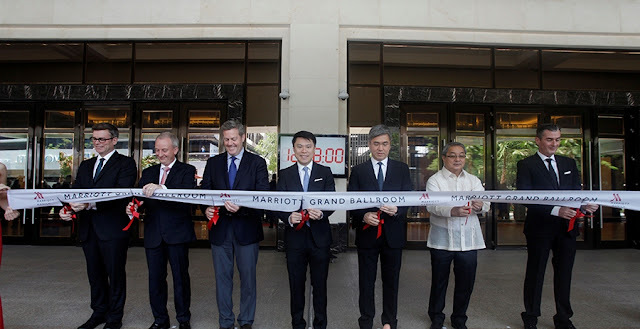 With the addition of the Marriott Grand Ballroom, the hotel offers a total of 10,000 square meters of function space, by far the biggest in the Philippine hotel industry. 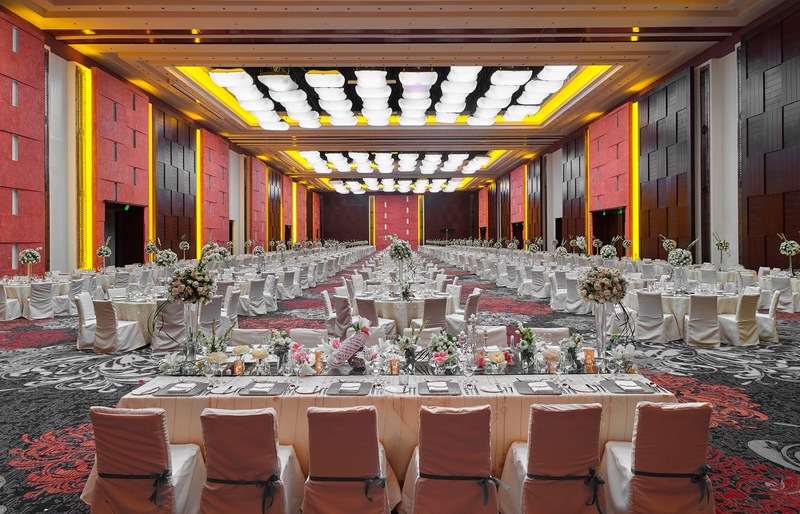 The main ballroom boasts of 3,000 sq.m. 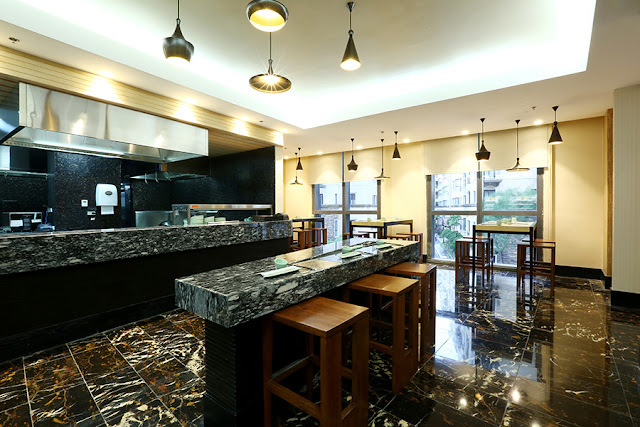 of pillarless venue that can easily accommodate 4,000 guests for cocktails and 2,500 for banquet set-up. 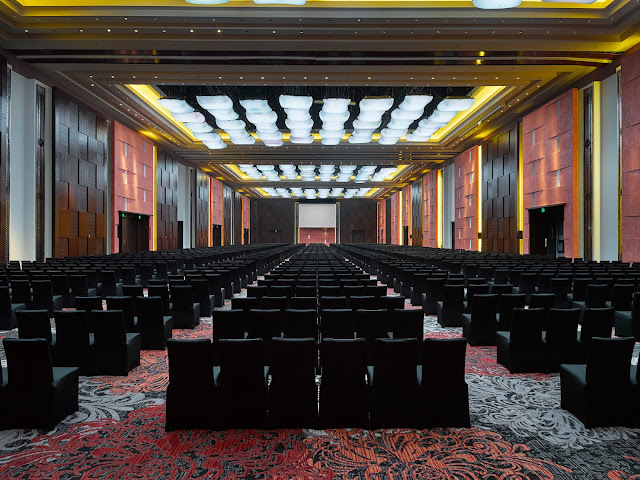 This massive venue can be subdivided into four sections and features state of the art technology, including the only ballroom that uses SkyFold Technology – vertical folding partitions that comes from the ceiling, and 176 Programmable Pillow Ceiling Lights that changes to 360 colors and can adjust the ceiling height from 12 meters to 10 meters for a more intimate gathering – another first in the Philippines. These hi-tech features can be operated at a push of a button. Also intended for an exhibition space, each segment of the ballroom features 9 utility boxes that provide event suppliers with data, internet, water and even drainage. There are also catwalks and high steel platform structure to give flexibility to design and easy access for lighting effects or hanging decorations. 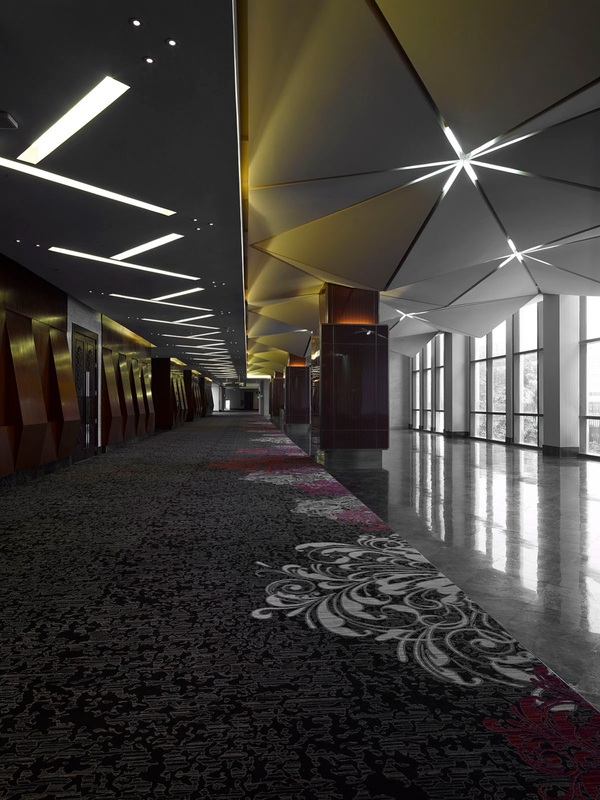 To cater to event attendees, there are 1,505 underground parking spaces across six basement levels. 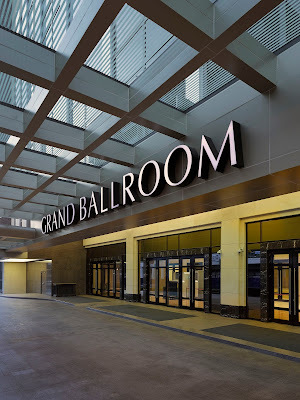 Truly, the Grand Ballroom is any event organizer or attendees’ dream come true. 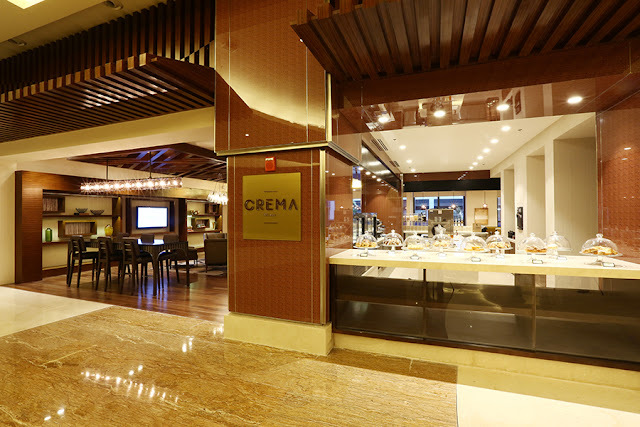 Set to be the country’s most prestigious address for social events. With opulent space, incomparable state of the art technology, glamorous photo venue, elegant bridal suites with private gardens, versatile ceremonial halls, and impeccable service, the Marriott Grand Ballroom promises the perfect setting in making every moment unforgettable. 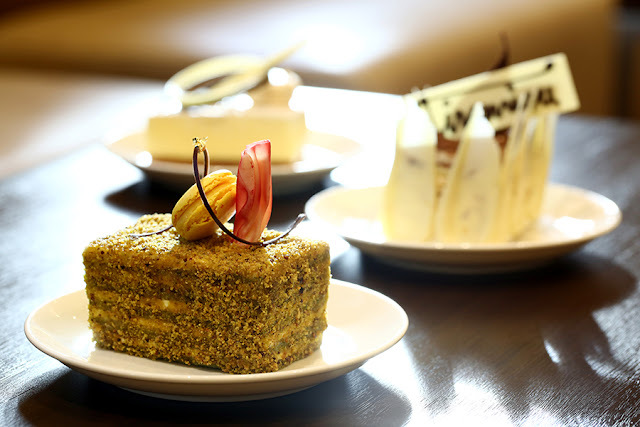 Match it with comprehensive packages to suit the most extravagant affairs to intimate celebrations. Each celebration will be remembered for its unsurpassed grandeur and flawless execution. Any dream wedding fantasy can be turned into an unforgettable reality. The abundant space of the Marriott Grand Ballroom was designed by international hospitality firm professionals Gettys Group. 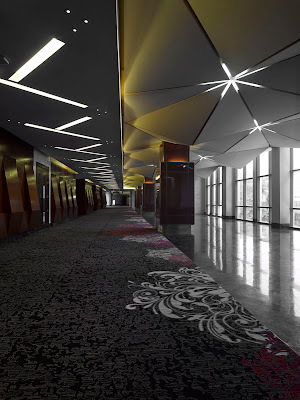 Overall concept of the design is “Bayanihan” a Filipino term for the community spirit – a representation of the Marriott Grand Ballroom as a source of local pride, a symbol of unity and celebration. Its modern and sleek design are accentuated with a touch of Filipino heritage which is evident with the lighted bamboo statement piece at the lobby, complemented with customized pieces by renowned Filipino furniture designer Kenneth Cobonpue. More intricate details depict the local arts and cultures, inspired from indigenous colors and materials, even traditional dance showcasing spatial flow and movement. 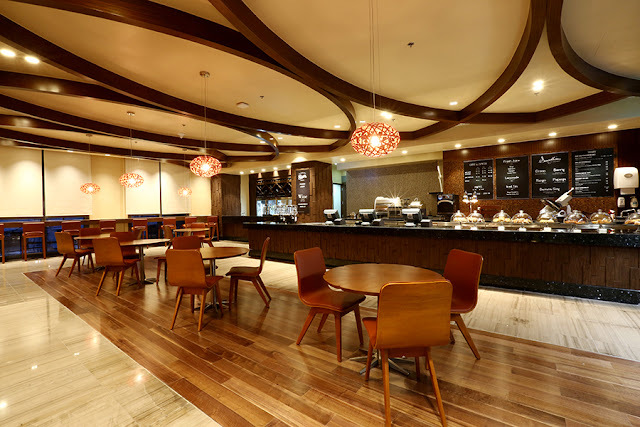 See these interpretations curved walls, slated wood ceilings, accent pieces and fabrics in different hues of brown and warm colors, tropical plant decors and curved wall inspirations. 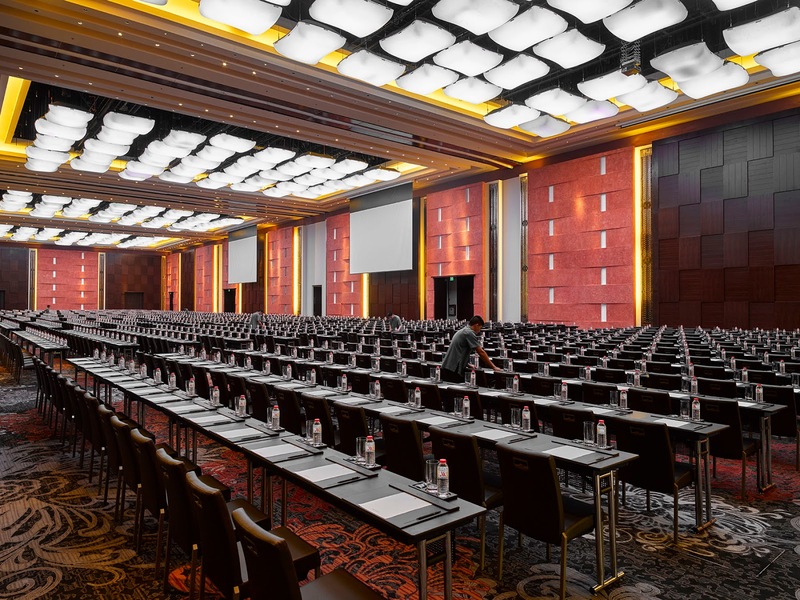 The Marriott Grand Ballroom boasts of world class technology that will raise the standard in meetings and deliver unrivaled event experience. 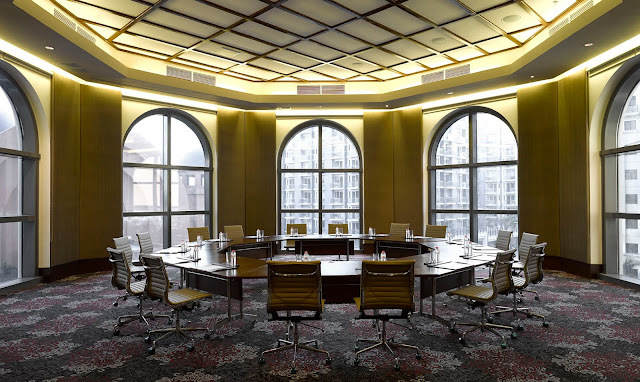 Skyfold Technology, the Marriott Grand Ballroom has a truly sophisticated engineered designed Operable Wall System. Professional High Steel Platform and Catwalk Structure is a Production Dream System. The Grand Ballroom has four sections with the same technology integrated in each section. Lighting system specially designed to offer guests with multiple scenes at the touch of a button. 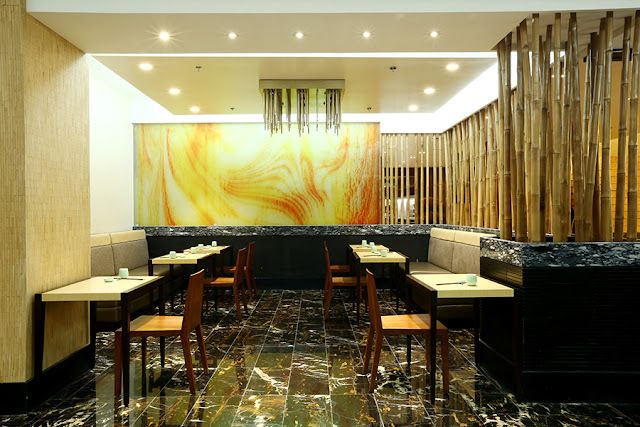 For an added touch of elegance, Marriott Manila commissioned Hongkong based Art Consultant and International Interior Decorator Anja Silling of Melange Interiors Ltd, to create a luxurious ambiance through modern art pieces. 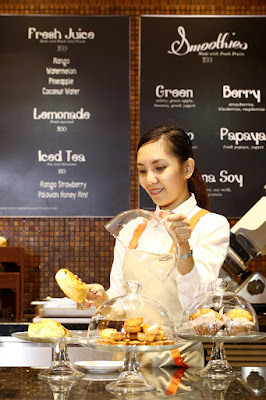 Among her other prestigious clients include several Marriott properties, such as The Ritz Carlton Hotel Moscow, Russia and the Marriott Vacation Club in Macau, China. And other International Luxury Hotel Projects, Luxury Residences, Corporate and Private Clients. 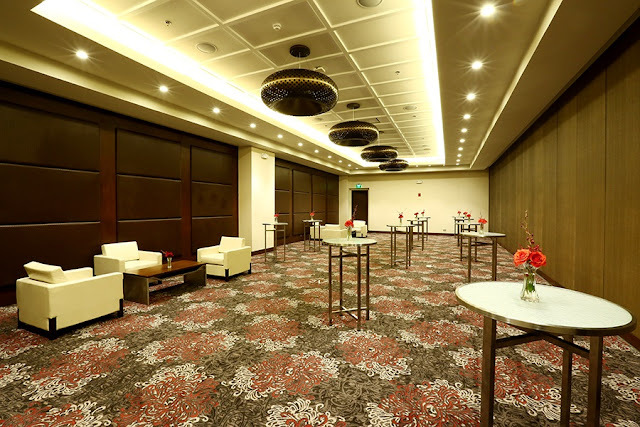 The Marriott Grand Ballroom house over a hundred pieces of modern art featuring a mix of local established Philippine artists and International artists as well as custom-made works from Melange Studio. All artworks reflect Philippine culture blended with Marriott International art concept that can be seen through statement pieces such as floral mood wall relief specially made by Melange, timeless works by Tony Twigg, an Australian artist with strong Filipino influences, art installations by Filipino sculptor Impy Pilapil, and Filipino contemporary artist Roberto Robles. 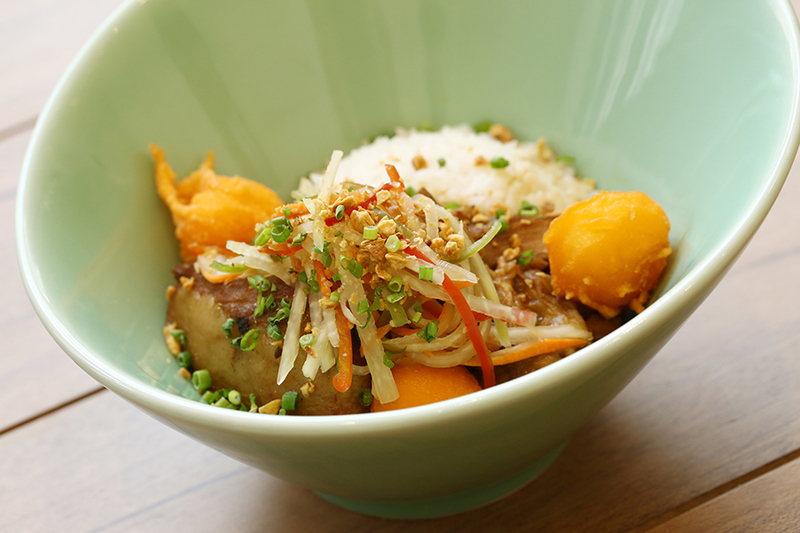 In addition to the function spaces, there are also 3 exciting dining hot spots. Crema is an upscale gourmet coffee shop that offers a sophisticated ambiance perfect for short meetings, a quiet read or a quick break. 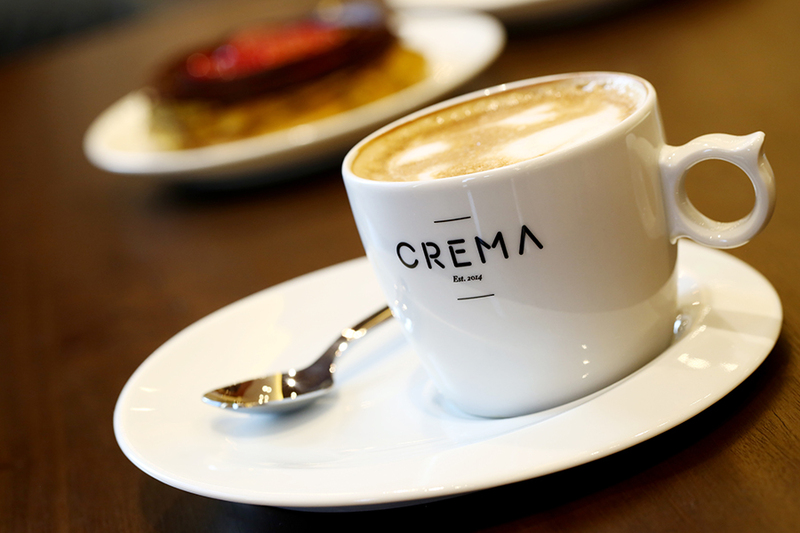 Grab a cup of any of Crema’s premium coffee creations or Felchin’s hot chocolate and pair with its local signature, the macapuno egg tart. If you are opting for something cold, house blend smoothies and homemade yogurt are definitely a must try. 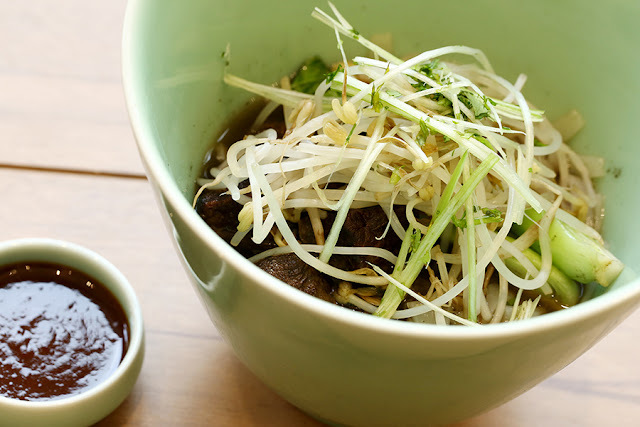 Mian, this modern Asian noodle bar offers refined and unique noodle dishes fired in an open kitchen. 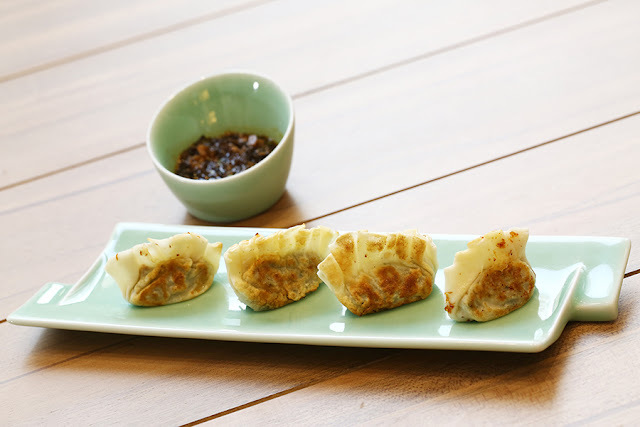 Whether you are looking for a traditional fare or with a twist of something new, stir-fried or soup, dine-in or take-out, Mian’s menu offers a variety of tempting selections to sink your chopsticks into, even include dumplings, rice bowls and desserts. 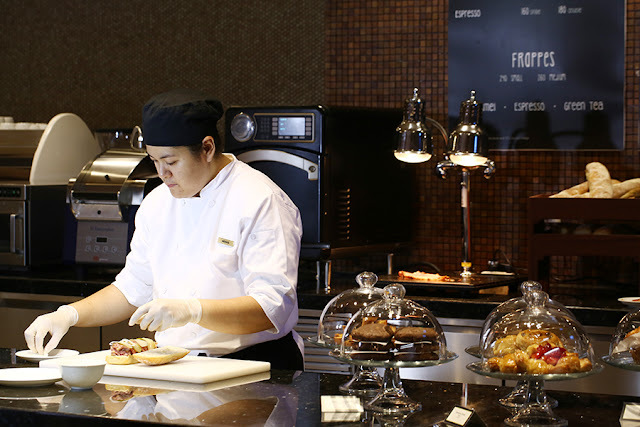 Allegro, an innovative deli that serves up a fresh approach on quick and delicious recipes on the go, take your pick with creative items such as maki sushi rolls, cheese tarts, dessert jars, gourmet salads and chilled sandwiches. 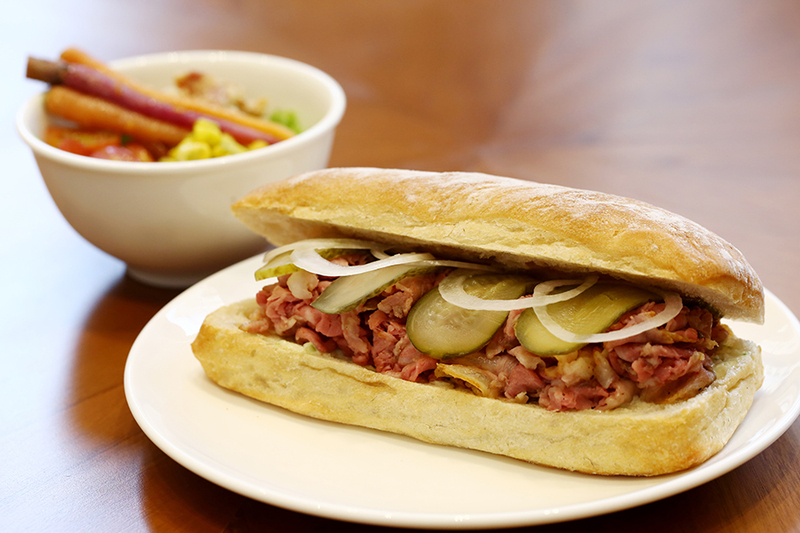 Relish every bite with specially crafted beverages to go with every meal. Breathe new life into meetings, milestones and events at the Marriott Grand Ballroom. 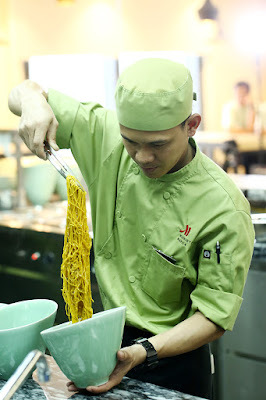 For inquiries and bookings call (02) 9889999 or visit manilamarriott.com. 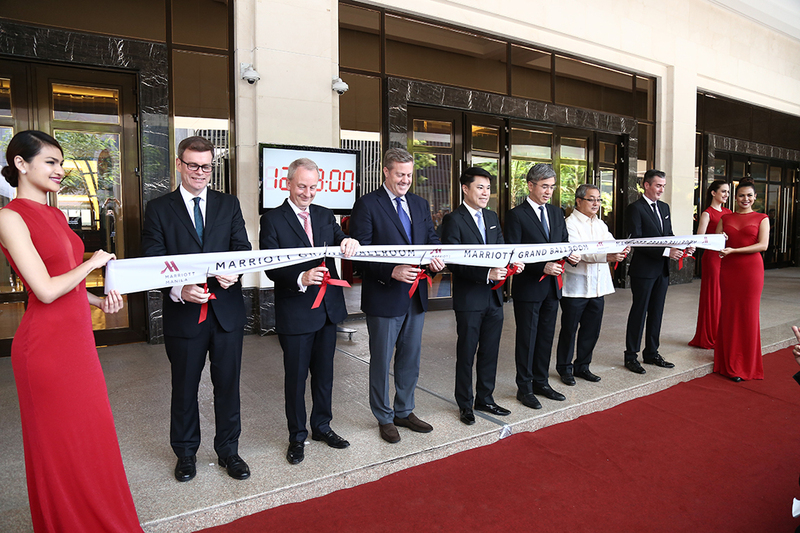 To join the ongoing conversations, like Facebook.com/MarriotthotelManila, follow @marriottmanila on twitter and @manilamarriott on Instagram. 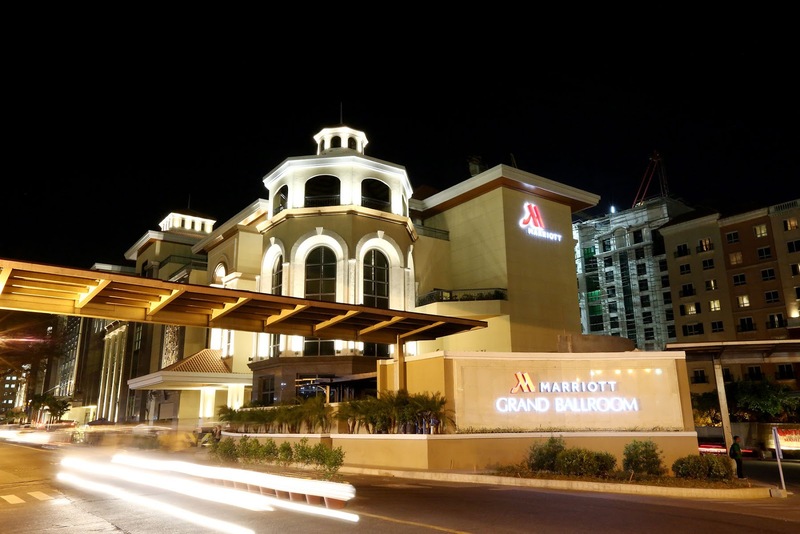 Marriott Hotel Manila stands as a centerpiece of the dynamic and exciting mixed-use development of Resorts World Manila, located directly opposite Ninoy Aquino International Airport Terminal 3. A destination in itself, this 5 star property is poised to become the Philippines’ most unique and comprehensive destination for Meetings, Incentives, Conferences and Exhibitions. The hotel currently offers 342 spacious guestrooms and suites and will open the West Wing in early 2016 adding an additional 228 luxuriously appointed rooms. Thoughtfully designed around the needs of today’s modern traveler, each guestroom incorporates the latest technology and design. Premium Wi-fi capability, I-pod docks and oversized bathrooms appeal to most discerning guests. 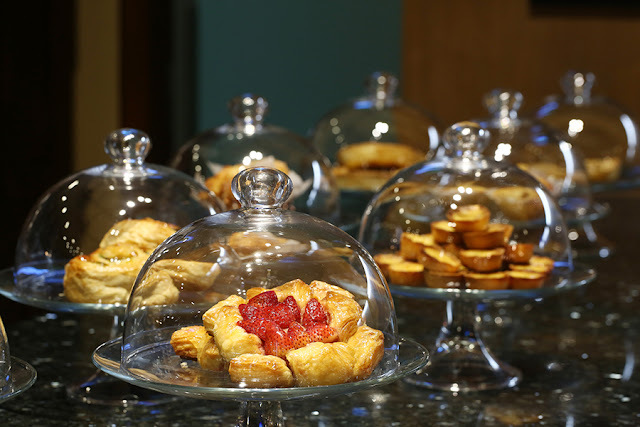 Mobile check-in and check-out, the finest linens and Thann Amenities add to the experience. Stunning views of Villamor Golf Course, the skylines of Makati Fort Bonifacio and sweeping views of the airport showcase our prime location.